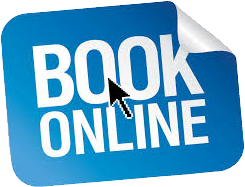 Ashcrofts Mini Travel now offer customers the option to book travel online via the bookings page. Please complete the form and submit it to us. We will confirm the booking within 24 hours if we can accommodate it. If a quote has been requested we will respond typically within a few hours. *By using this booking form, you are giving us your consent to securely store and use your data in order to make the booking. We never share your data with any third parties, and you can request to have it removed or amended at any time. Airport transfers & Minibuses for all occasions in Wigan, Leigh, Ashton, Warrington, Golborne, Lowton, Astley, Culcheth. Executive travel service in Wigan and surrounding areas to launch soon branded as Ashcrofts Mini Travel – Corporate Class.